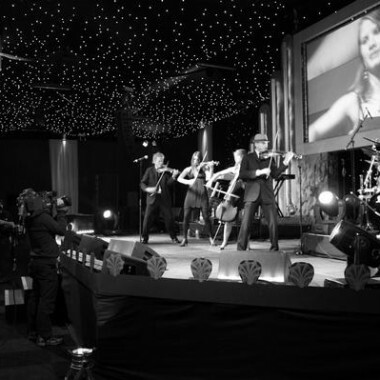 Ruby, a fantastic addition to any event, this is an unique state of the art quartet showcasing stylish fashion, dynamism & an energetic cutting edge repertoire. If you’re looking for a stylish show with a contemporary edge, Ruby are the perfect find. With two boys and two girls in the mix, watch the on-stage chemistry fizz as Ruby wow your guests. Combining heart-stopping looks with dazzling musicianship, they weave rock and pop hits with classical sophistication. 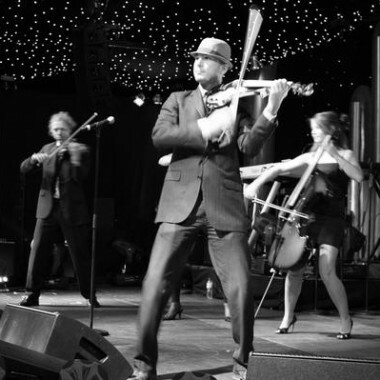 They aim to bridge the gap between classical music and pop with their original and innovative arrangements and state-of-the-art electric string instruments. Ruby truly have something for every audience, showcasing stylish fashion, dynamism and energetic virtuosity. If there’s a special piece you wish to hear (it could be a song, theme tune or one of your own ditties!) they would be more than happy to arrange and play it for you. As graduates of London’s top music colleges the group have studied composition and arrangement formally. Previous works have included a Fantasy for violin and orchestra performed by the South Bank Sinfonia and string arrangements for Polydor, Parlophone, Domino, Island, and Universal Records and the BBC.